Jubilant Biosys – Hiring for Junior RA and RA – In-Vivo Biology – M.Pharm or M.Sc. 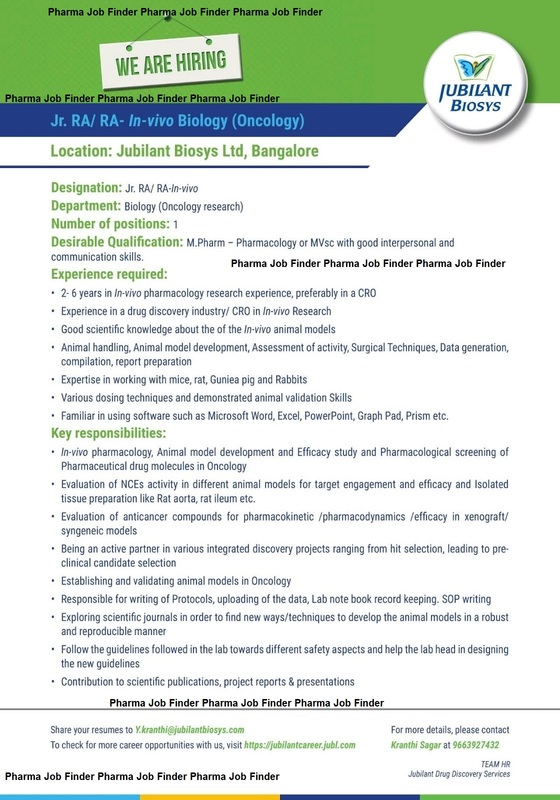 SYMBIOTEC Pharma Limited Urgently Opening for Chemists / Officer / Sr. Officer / QC / Production @ Indore M. P.